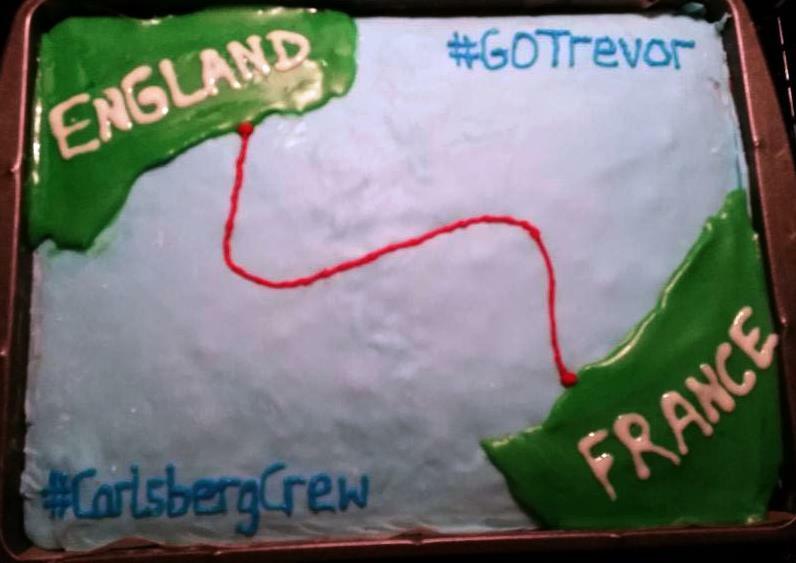 The battle of the Channel Cakes took place over the weekend, as Trevor & Nicola Malone had a BBQ to thank the large crew who helped Trevor during his Channel preparations and swim. All entrants were eaten, so it was declared a draw. Just to note, Siobhan Russell wasn’t there, so the quality of lots of the pictures is pure crap. I took them. 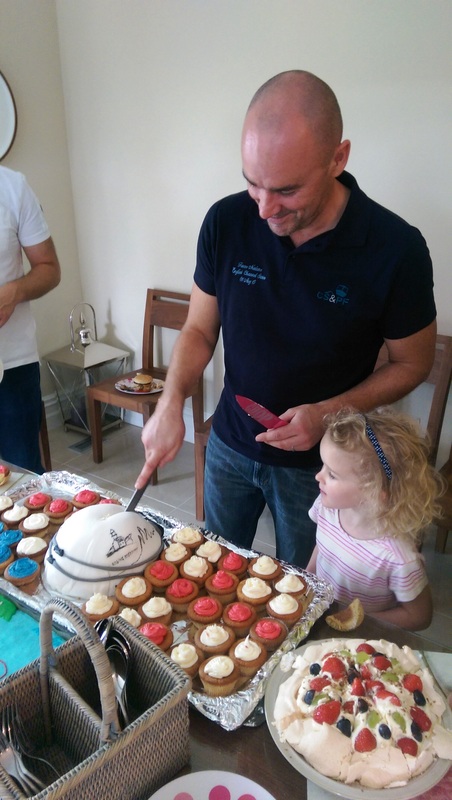 Trevor with daughter, Cliodhna supervising the cake cutting. Trevor got several gifts to mark the occasion – a black sheep from Eilis for not telling her he was representing Myrtleville rather than some place down West. – very cool superhero togs, which he’s been wearing since. – a book to fill in all the spare time he now has. Carol prepared it on behalf of the Carlsberg Crew as a log of the swim. It’s 543 pages long, without appendices or pictures. Once he’s finished reading it, Trevor hopes to have time to go for a swim again some time in 2016. 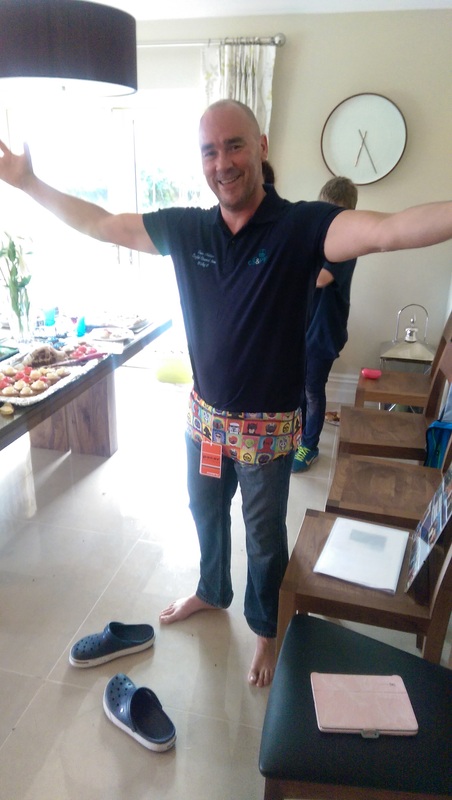 This entry was posted in Information and tagged English Channel Swim, Marathon Swimming, Open water swimming - Cork, Open water swimming - Cork - Ireland, Sea swimming - Cork, Sea Swimming - Cork - Ireland by myrtlevilleswimmers. Bookmark the permalink.